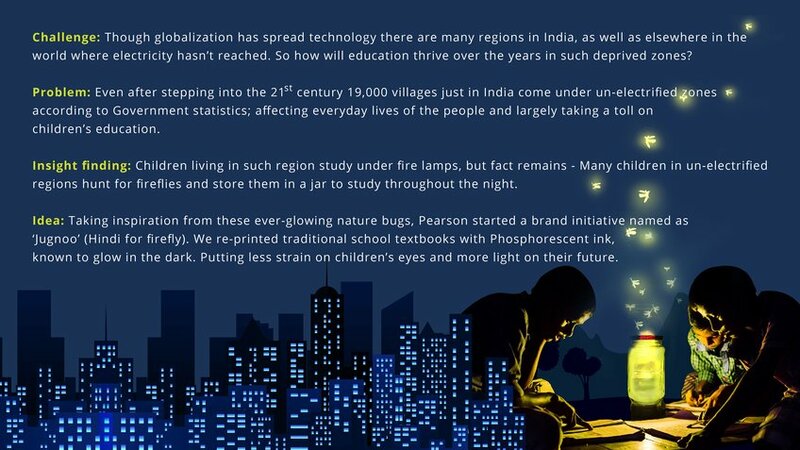 Even in the 21st Century 19,000 villages in India come under un-electrified zones, restricting the children from studying efficiently. 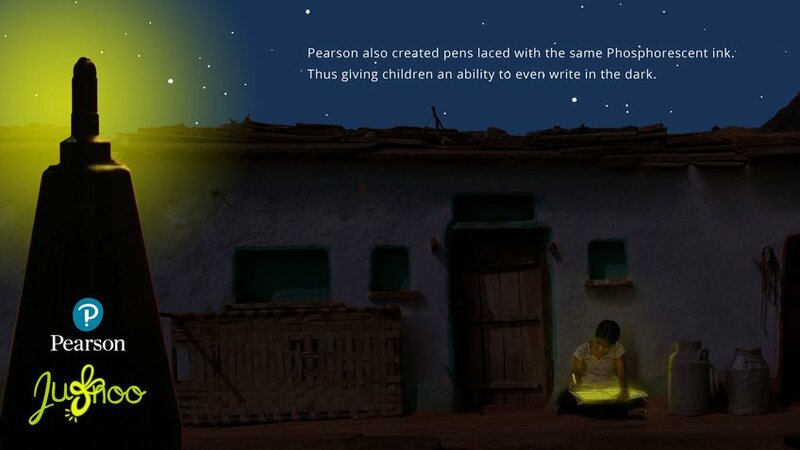 In such regions children often come together to hunt Fireflies and store them jars to study through the night. 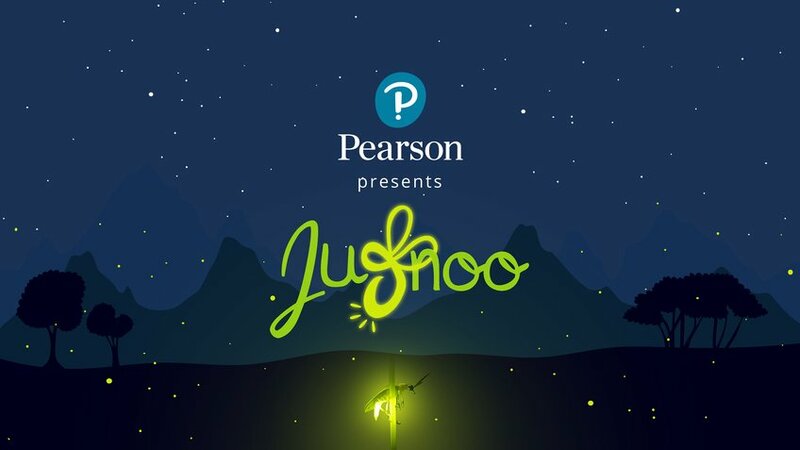 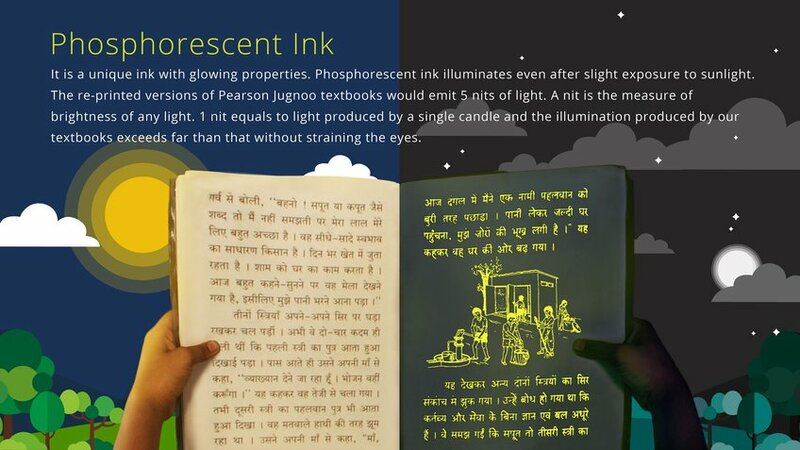 Pearson started a brand initiative named as "Jugnoo" which uses an unconventional solution to help these children study through the night with the use of Phosphorescent ink in an innovative way.